In 1972 he received the Nobel Memorial Prize in Economic Sciences (jointly) for his pioneering contributions to general equilibrium theory and welfare theory. Hicks was born in 1904 at Warwick, England. His father was a journalist at a local newspaper. He was educated at Clifton College (1917–22) and at Balliol College, Oxford (1922–26), financed by mathematical scholarships. During his school days, and in his first year at Oxford, he specialised in mathematics but also had interests in literature and history. In 1923, he moved to Philosophy, Politics and Economics, the "new school" just being started at Oxford, graduating with second-class honors and, so he states, "no adequate qualification in any of the subjects" that he had studied. From 1926 to 1935 Hicks lectured at the London School of Economics and Political Science. He started as a labour economist and did descriptive work on industrial relations but gradually he moved over to the analytical side, where his mathematics background returned to the fore. Hick's influences included Lionel Robbins and such associates as Friedrich von Hayek, R.G.D. Allen, Nicholas Kaldor, and Abba Lerner – and Ursula Webb, who, in 1935, became his wife. From 1935 to 1938, he lectured at Cambridge where he was also a fellow of Gonville & Caius College. He was mainly occupied in writing Value and Capital, which was based on the work he had done in London. From 1938 to 1946, he was Professor at the University of Manchester. It was there that he did his main work on welfare economics, with its application to social accounting. In 1946 he returned to Oxford, first as a research fellow of Nuffield College (1946–52), then as Drummond Professor of Political Economy (1952–65), and finally as a research fellow of All Souls College (1965–71) where he continued writing after retirement. He was also an honorary fellow of Linacre College. He died in 1989. Hicks was knighted in 1964 and was co-recipient of the Nobel Prize in Economic Sciences (with Kenneth J. Arrow) in 1972. He donated the Nobel Prize to the London School of Economics and Political Science's Library Appeal in 1973. Hicks's early work as a labour economist culminated in The Theory of Wages (1932, 2nd ed. 1963), still considered standard in the field. He collaborated with R.G.D. Allen in two seminal papers on value theory published in 1934. His magnum opus is Value and Capital published in 1939. The book built on ordinal utility and mainstreamed the now-standard distinction between the substitution effect and the income effect for an individual in demand theory for the 2-good case. It generalised the analysis to the case of one good and a composite good, that is, all other goods. It aggregated individuals and businesses through demand and supply across the economy. It anticipated the aggregation problem, most acutely for the stock of capital goods. It introduced general equilibrium theory to an English-speaking audience, refined the theory for dynamic analysis, and for the first time attempted a rigorous statement of stability conditions for general equilibrium. In the course of analysis Hicks formalised comparative statics. In the same year, he also developed the famous "compensation" criterion called Kaldor–Hicks efficiency for welfare comparisons of alternative public policies or economic states. Hicks's most familiar contribution in macroeconomics was the Hicks–Hansen IS–LM model, which formalised an interpretation of the theory of John Maynard Keynes (see Keynesianism). The model describes the economy as a balance between three commodities: money, consumption and investment. Hicks himself did not embrace the theory as he interpreted it; and, in a paper published in 1980, Hicks asserted that it had omitted some crucial components of Keynes's arguments, especially those related to uncertainty. Hick's influential discourse on income sets the basis for its subjectivity but relevancy for accounting purposes. He aptly summarized it as follows. “The purpose of income calculations in practical affairs is to give people an indication of the amount they can consume without impoverishing themselves”. Hicks' number 2 measure of income (market price-neutral): "the maximum amount the individual can spend during a week, and still expect to be able to spend the same amount in each ensuing week” (Hicks, 1946, p. 174). 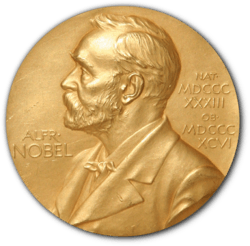 ↑ The Sveriges Riksbank Prize in Economic Sciences in Memory of Alfred Nobel 1972. Nobelprize.org. Retrieved on 2013-07-28. ↑ John R. Hicks – Biographical. Nobelprize.org (1989-05-20). Retrieved on 2013-07-28. 1 2 "Sir John Hicks". London School of Economics. 13 Mar 2009. Retrieved 8 July 2012. ↑ Hicks, J. R. (1937). "Mr. Keynes and the 'Classics', A Suggested Interpretation". Econometrica. 5 (2): 147–159. JSTOR 1907242. ↑ Hicks, J. R. (1980). "'IS-LM': An Explanation". Journal of Post Keynesian Economics. 3 (2): 139–154. JSTOR 4537583. ↑ "The Hicks' Concept of Income and Its Relevancy for Accounting Purposes". Retrieved 17 August 2016. 1 2 3 "The Hicks' Concept of Income and Its Relevancy for Accounting Purposes". Retrieved 18 August 2016. Christopher Bliss,  2008. "Hicks, John Richard (1904–1989)", The New Palgrave: A Dictionary of Economics. Abstract. John R. Hicks (1904–1989). The Concise Encyclopedia of Economics. Library of Economics and Liberty (2nd ed.). Liberty Fund. 2008.